￼ EUC used about 3 months. Human Care Nexus 3 Rollator ￼ The best selling neXus series of walking aids feature an "X" frame design that folds from side to side which makes it quick and easy to fold. 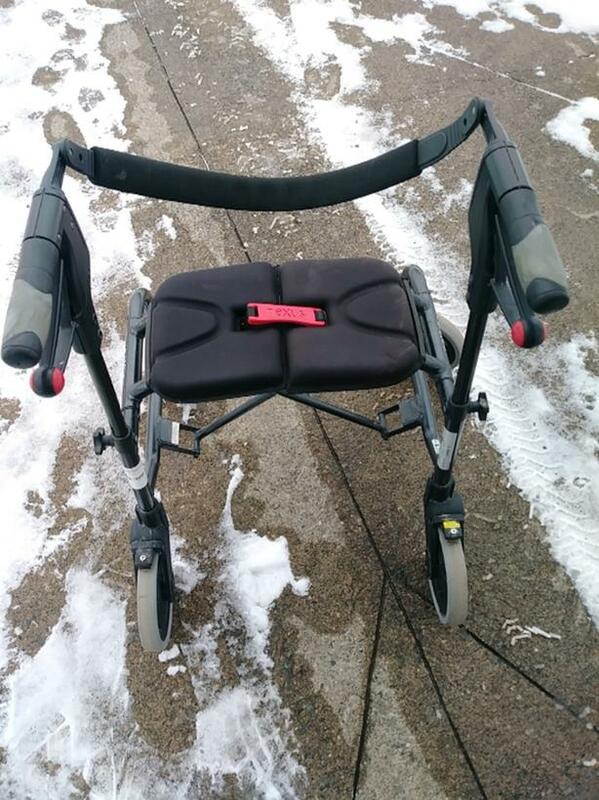 It also allows the rollator to stand independently when folded and ensures that it requires minimal space. The Nexus 3 is the only true cable-free rollator. The neXus rollators have a padded back strap that can flip to allow for two-position seating, a large mesh basket and a double bearing front fork assembly for smooth rolling making them a very user friendly choice! Complete with comfortable padded seat and back. 8" wheels.